Have you ever learned about something that you can make, and gotten really excited? No…REALLY excited. I don’t know what it is about this vanilla but I LOVE it! When I learned how easy it was to make it, my first move was to google the nearest liquor store. That was HUGE for me. I had never been in one. 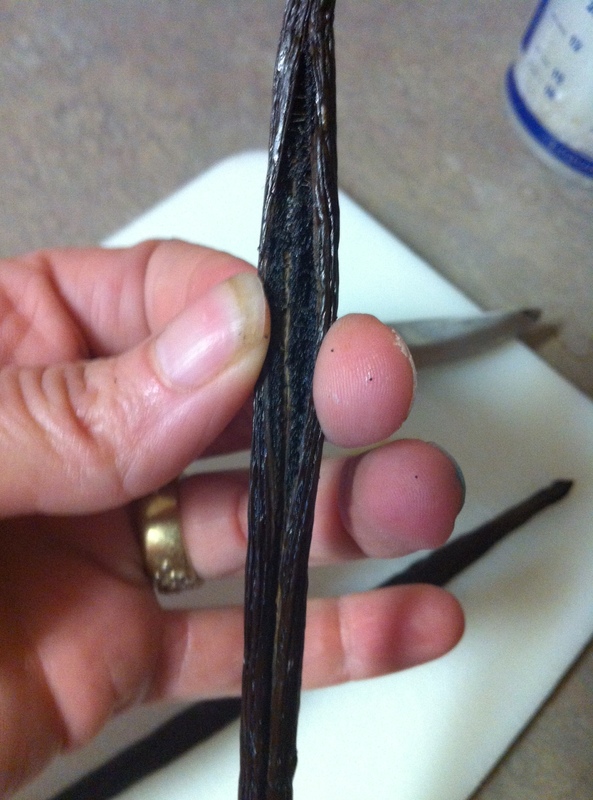 Vanilla beans can be pretty expensive IF you can even find them in the grocery store. I bought mine at olivenation.com because I got an online coupon code. You can get them pretty cheap on eBay! Split your vanilla beans down the middle and peel open. Drop them into the bottle of vodka. Let sit for a minimum of 2 months. The longer it sits, the better it will taste. This is after one month. At this point, I was out of my store-bought vanilla. I wanted my vanilla to keep brewing, but I needed a little. 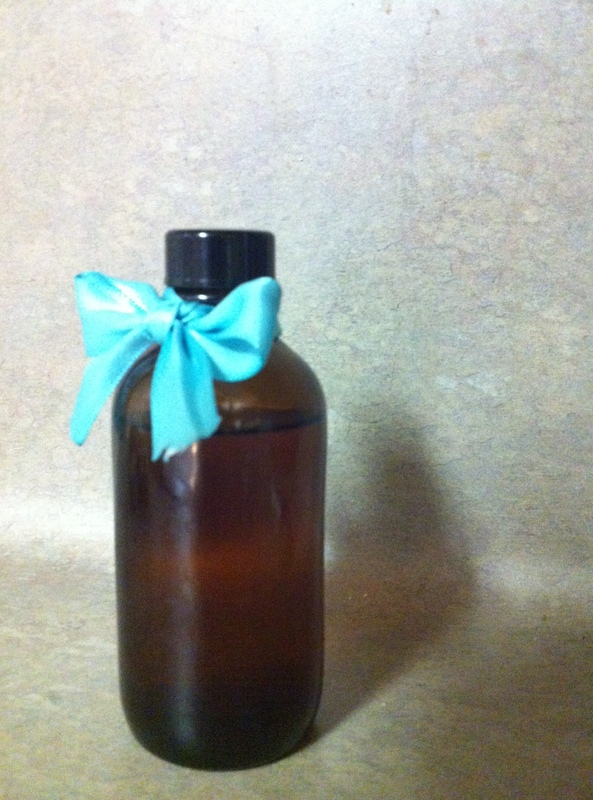 I poured a small amount into a 4 ounce bottle that I bought on Amazon. 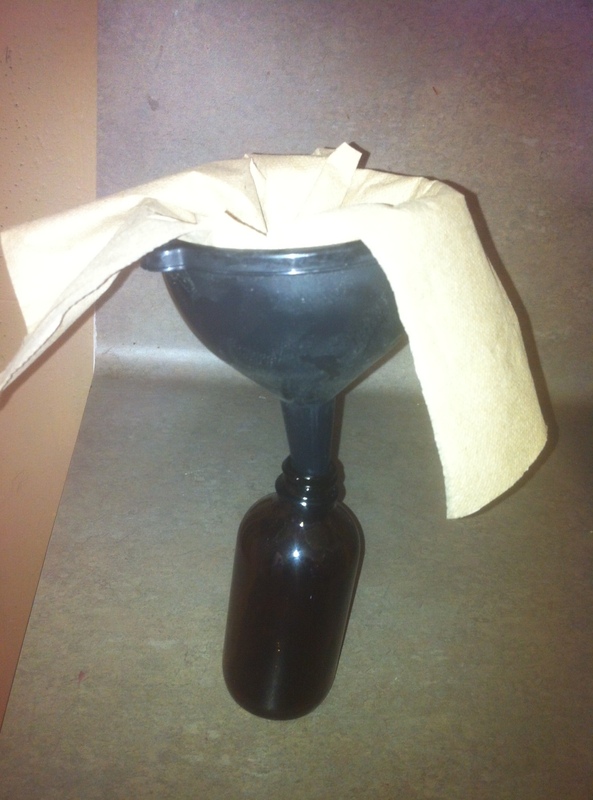 I used a napkin (a coffee filter would have been better) to filter the vanilla through the funnel and into the jar. This filtered out any of the vanilla beans that snuck out. 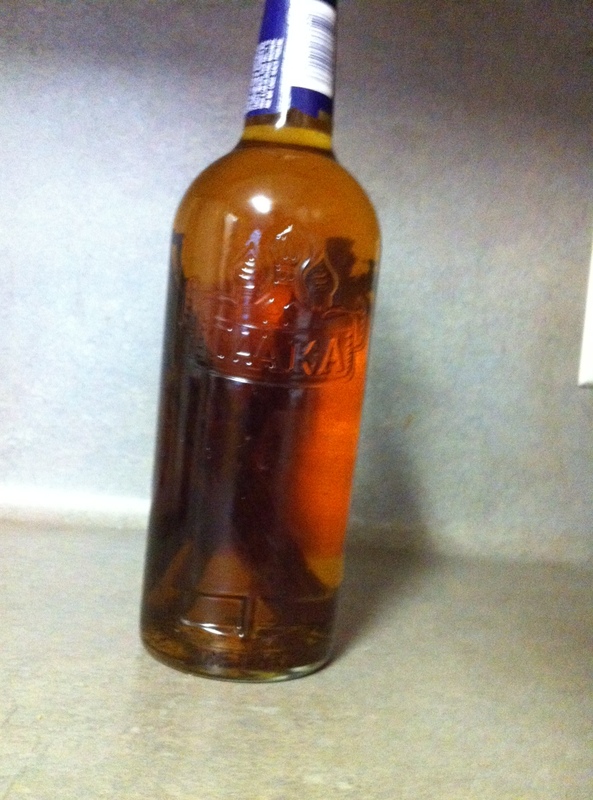 The rest of the vanilla is still the original bottle…….soaking up even MORE flavor! When you use some of it, you can just add more alcohol to replace what you took out. Some people say you can only use the beans twice. I have heard others say that they just drop a couple of extra beans in the bottle and leave the old ones in there. I am going to experiment with both ways to see if I notice a difference. If you use up all the vanilla, you can take the beans and put them in a container of granulated sugar and let them sit for a couple of months. This will make some FANTASTIC vanilla sugar. You don’t necessarily need the fanciest vanilla beans. 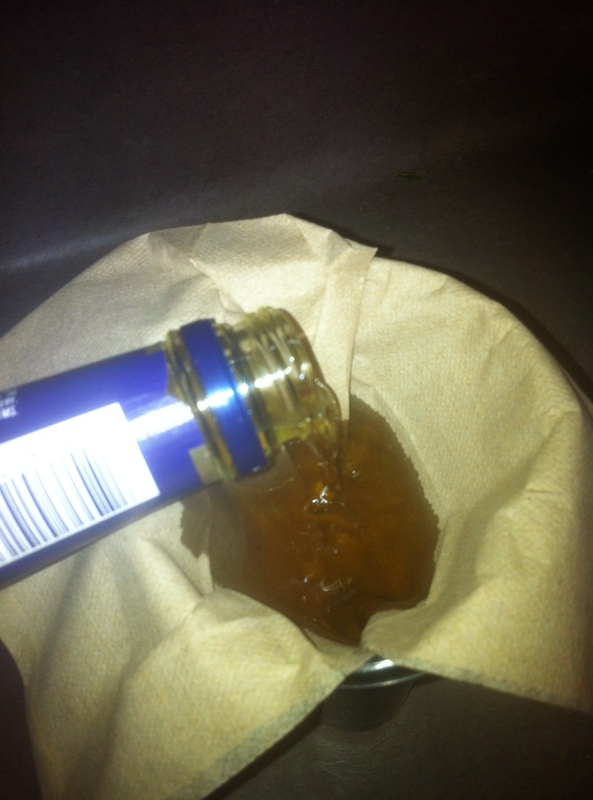 Most of the extract you buy at the store use Grade B beans. You also do not need expensive vodka. 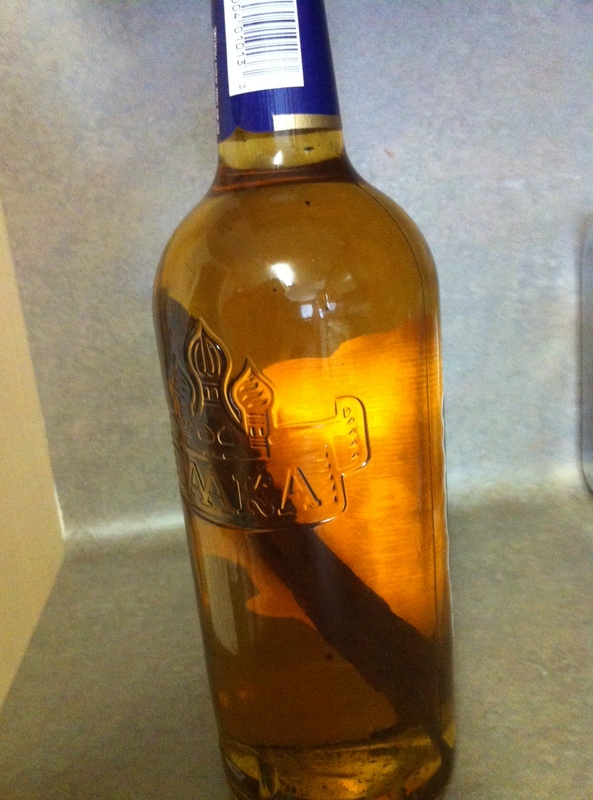 The alcohol is used to draw out the vanilla. Are you ready for the GRAND TOTAL????? If I use the beans for 2 batches of vanilla it is $0.28/ounce. That is all natural vanilla…no corn syrup or artificial flavors.